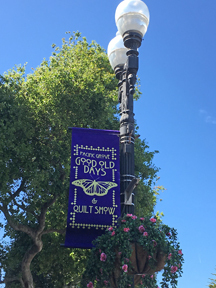 Many thanks to our anonymous friend for the new banners promoting the guild's annual quilt show. We LOVE them! 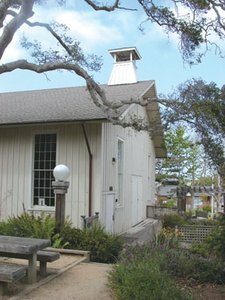 The show runs in conjunction with Pacific Grove's Good Old Days festivities along Lighthouse Avenue. In addition to a colorful display of some 160 traditional and art quilts on display, a Boutique offers a wide variety of unique items for sale. 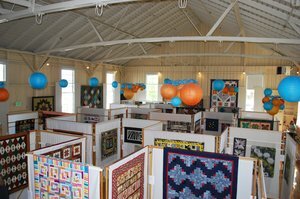 The show also features a Mini Quilt Raffle where you may win one of the beautiful, small-scale quilts on display. You may also purchase tickets for the Raffle Quilt. Drawings for the Mini Quilts and the Raffle Quilt are held late Sunday afternoon. Always a favorite, the Garage Sale promises gently used sewing and quilting supplies plus a vast array of fabric. Will you have a quilt in the show? See below for quilt show information and forms. 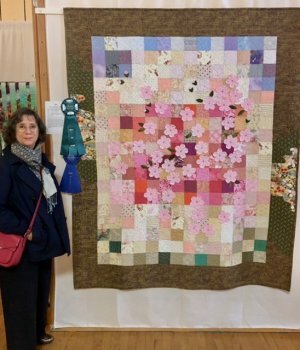 Above: Catherine McGovern won “Best of Show 2018” for her Cherry Blossom. Right: Kathrin Brown won Judge's Choice. 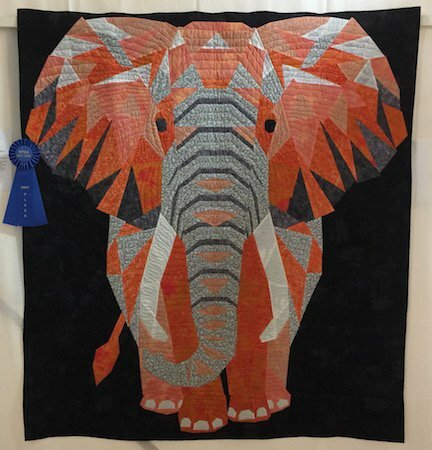 For a complete list of ribbon winners who requested that their quilts be judged, click here. Used with written permission of LostQuilts.com. Application for 2019 quilt entries and judging are open and due by February 4, 2019. In order to enter quilts for display in the quilt show, you must be a member of the Monterey Peninsula Quilters Guild. Please read the entry form for the exception. Judged Quilt Awards - Ribbons can be given in each category, and an overall Best of Show award will be chosen from the first place winners. Viewer's Choice Awards - During the show, attendees can vote for their favorite quilt. Viewer's Choice awards are given at the May guild meeting. Kit Quilts now may be judged, and will be in their own, separate category. It was determined that many quilters really enjoy the ease of using a kit which includes the pattern and pre-selected fabric, but still might spend a tremendous amount of energy and time on the making of the quilt. Such kits are becoming increasingly common. 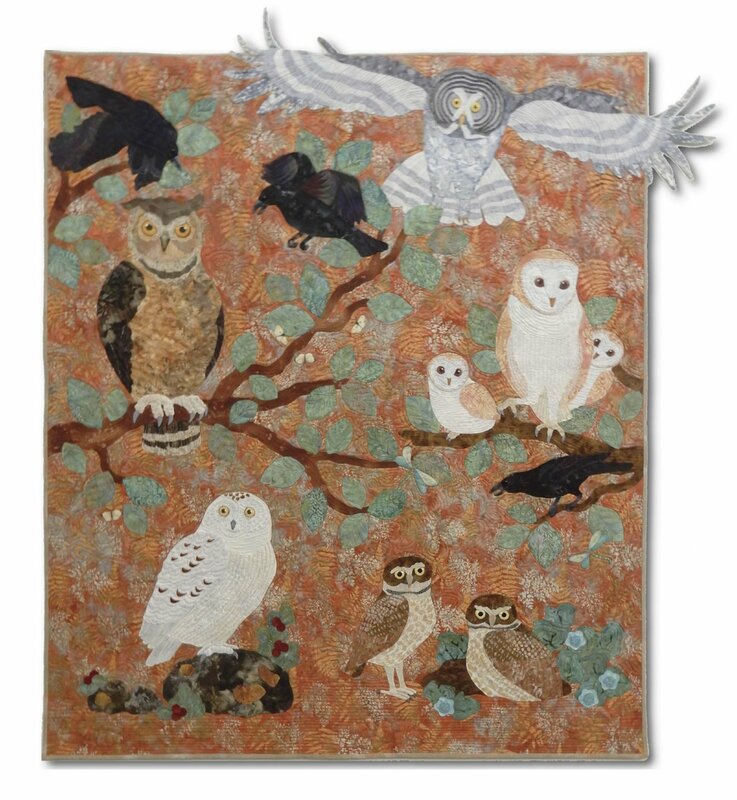 The category allows judging of these quilts so that our members’ work can be recognized, and so the member might benefit on the comments made by the judge. 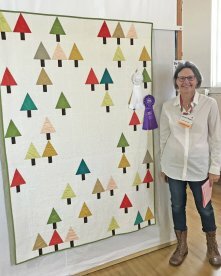 Kit Quilts will not be eligible for Best of Show. Special Quilt Techniques is a category now being used in several other quilt shows, and the group felt it should replace ‘Innovative Quilts,’ as it is more clearly defined and more appropriately allows quilts to be in categories better suited to each entry. It will include construction methods such as fusing and digital printing, surface design techniques and embellishments such as thread painting, beading, crystals, embroidery, and painting, or a mixture of hand and machine quilting, as well as any quilt that does not obviously fit into any other category. Traditional Quilts will now include all quilts based on a traditional design, pieced and/or appliquéd and will include pieced, English paper-pieced and foundation-pieced (on paper or fabric) quilts. 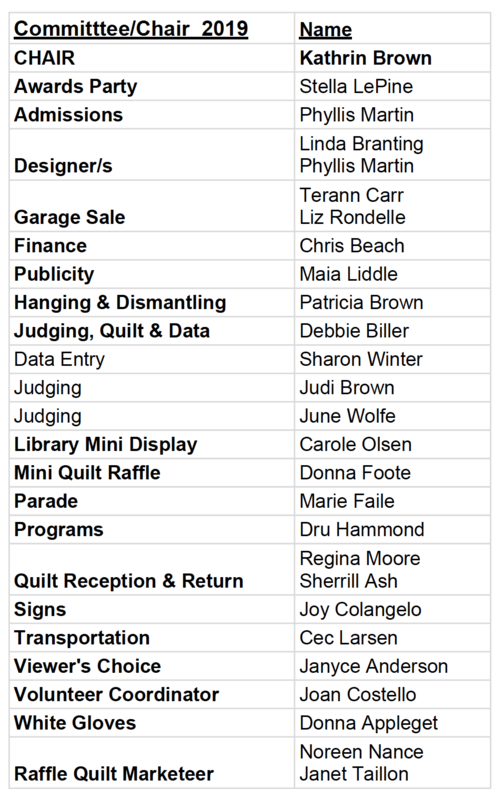 Other news: We’ve also added one ribbon per judge for Challenge Quilt Judge’s Choice; the Judge will be able to select her Choice from any of the Challenge Quilts, not just those submitted for judging. Best of Show will be selected only from those quilts awarded First Place Ribbons Judge’s Choice may be selected from any quilt in the show, whether judged or not. 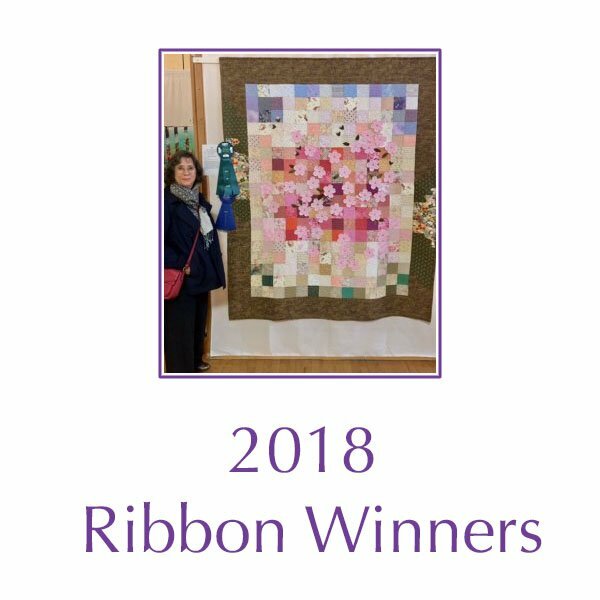 Please note that your Entry and Judging Application Forms, along with a 4 x 6” glossy photo of each quilt, can be submitted as soon as you know your quilt will be completed and that you plan to have it in the Quilt Show. Early submissions are much appreciated, but the absolute deadline in February 4, 2019.